With the release of Castlevania: Lords of Shadow mere weeks away, what can reignite our interest in the latest and perhaps greatest attempt at a three-dimensional Belmont adventure? How about the creepiest coffins you've ever seen in a video game? Frankly, everything in Castlevania: Lords of Shadow looks pretty good, whether it's Gabriel Belmont riding on a Warg or having a meeting with Pan. 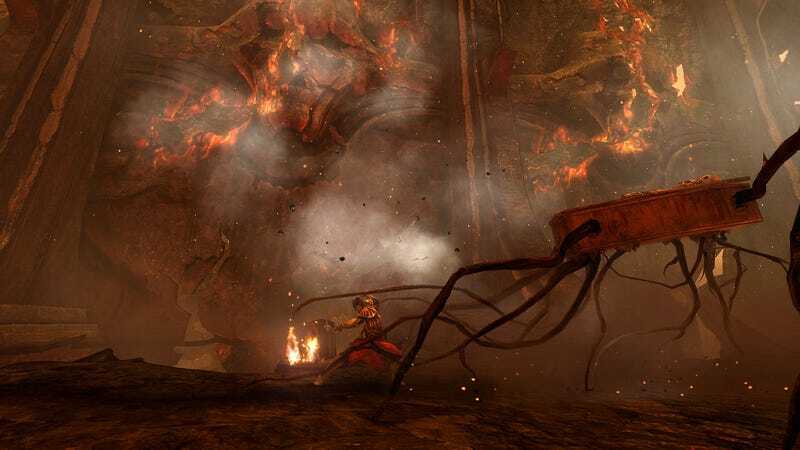 We have high hopes for Mercury Steam's stab at Castlevania in 3D. See if you agree with this latest batch of media, fresh from Gamescom.